A shallow water bay sheltered by an island breakwater, Derbyhaven’s south eastern position makes it ideal for leisure craft, but not suitable for commercial vessels. 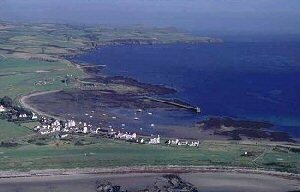 The bay is in a picturesque setting alongside the Castletown Golf Links championship course and hotel. The bay is a favourite on the Island for windsurfers.